As I vibrate, my body responds. A flow pulls me in, my thoughts become clear. I am present ... a tiny molecule in the huge liquid space. In the ambivalent nature of diving there are simultaneously present the complete detachment but also a kind of elemental connection to ourselves and our environment. During this special experience – treated as a sport – the subjective sensation of the time spent in the water gives a sensation of timeless travel. 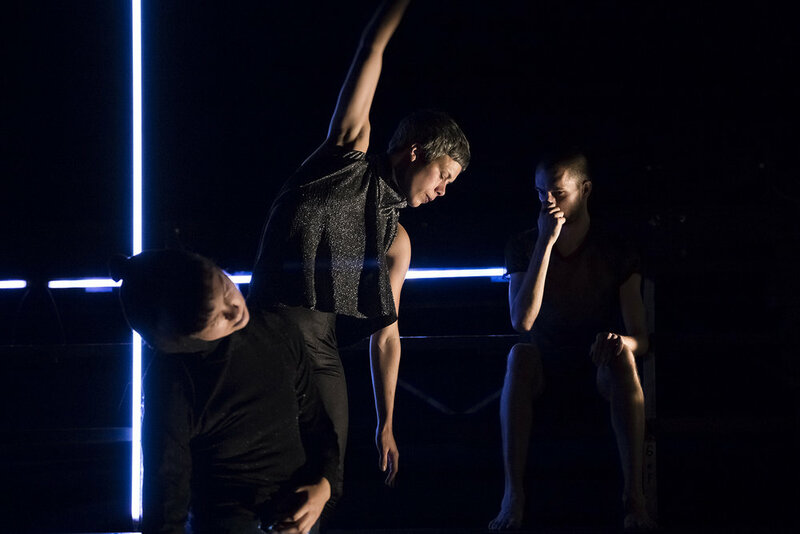 The interdisciplinary piece Urgent Need to Breathe invites its visitors into a space in which motion, interactive technology, visual and sound builds up an almost fluid, seemingly sensitive world. The international creative team puts special emphasis on the relationship between dance and digital arts, which research has started by the the choreographer Eszter Sarlós Flóra at the Master of International Art Creation at University Paris 8. In the frame of Zoltán Imre Program, National Cultural Fund of Hungary. Supported by European Union Culture Program.